Almost two years ago to the day, Derek Boogaard died in his Minneapolis apartment. Late Friday afternoon, his family filed suit in Circuit Court of Cook County (Illinois) for his wrongful death. The family had previously sued the the NHLPA for its delay in filing a grievance on his behalf but that suit, filed by a different firm, was dismissed. The Chicago firm Corboy & Demetrio, who also represents the family of Dave Duerson in a similar suit, filed this suit before Illinois's statute of limitions for wrongful death would have run on Monday. According to The New York Times, the complaint alleges that the N.H.L., through the actions/inactions of the teams and team physicians charged with caring for Boogaard, breached a duty to Boogaard in failing to monitor his prescription drug use. The suit also alleges that the league's substance abuse program violated its own rules when it failed to suspend or reprimand him for his several lapses, even in the face of multiple failed drug tests and his admissions that he occasionally purchased the drugs illegally. Wrongful death is like a regular negligence/personal injury case with the only difference being that the wronged party dies and therefore is unable to sue/be compensated for its damages. Wrongful death allows the family to recover for things like the emotional and financial stress caused by the death. The Boogaard family is asking the court to determine that a duty existed between the physicians (and the teams employing the physicians) and Boogaard to prevent his opioid dependency—or at least treat it in a non-negligent manner—and that that duty passes through to the NHL, as the governing body of the teams. 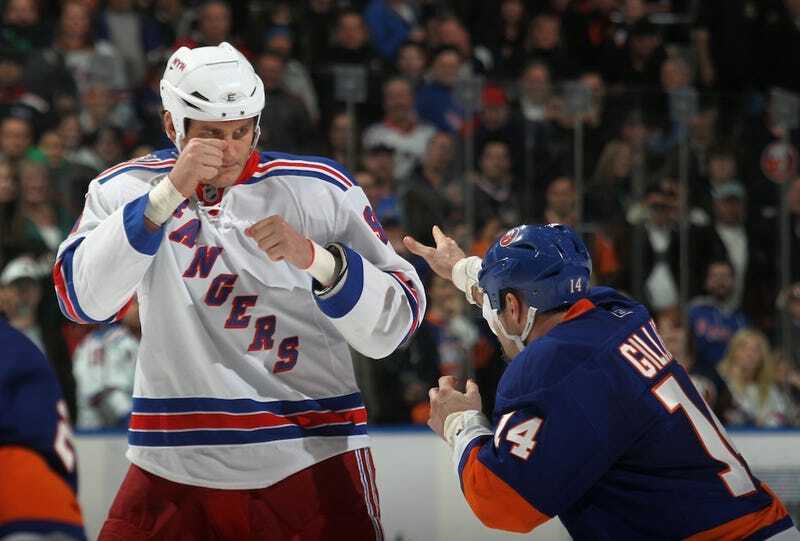 “On numerous occasions, the NHL allowed and encouraged Derek Boogaard, after suffering concussions, to return to play and fight in the same game and/or practice,” the suit alleges. The suit also argues that by virtue of his position as an enforcer/defender he was at an increased risk for concussions and other injuries, requiring increased prescription drug use and the potential for abuse.